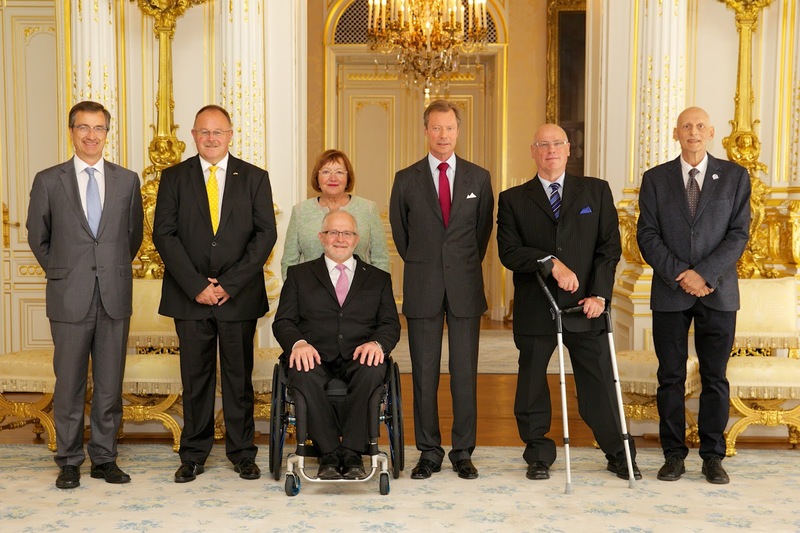 On Friday, Grand Duke Henri received in audience the President of the International Paralympic Committee, Sir Philip Craven. Following the audience, the Grand Duke and the Minister of Sports, Romain Schneider, accompanied Sir Philip Craven to the official opening of the Centre National Para-Sports. Also photographed above are André Hoffmann, President of the Luxemburg Olympic and Sports Committee (far left); Jocelyne Craven (next to the Grand Duke); Marc Schreiner, Luxembourg Paralympic Committee (second from right); and Romain Fiegen, Sports Director of the Luxembourg Paralympic Committee (far right).